If you had a chance to ask members of Villain Enterprises and LifeBlood a question, what would it be? 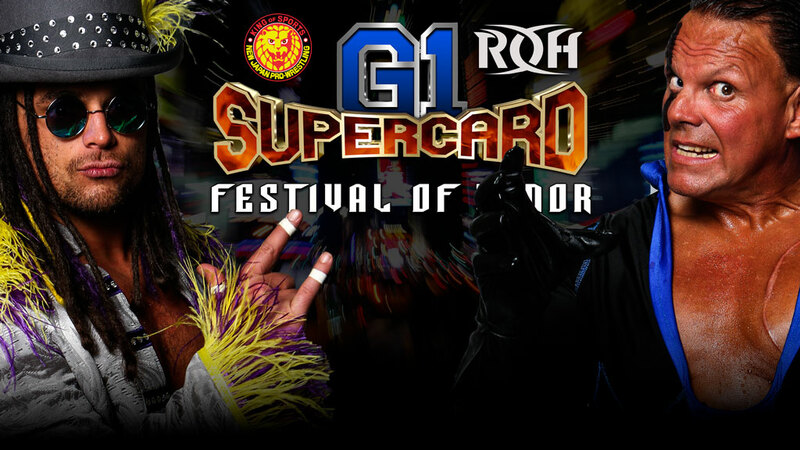 Fans will have an opportunity to pose questions to the two factions during the G1 Supercard Festival of Honor at Madison Square Garden’s Hulu Theater on Friday, April 5. The Q&A with ROH World Six-Man Tag Team Champions Villain Enterprises takes place at 11 a.m., with the LifeBlood Q&A session to follow at noon. LifeBlood leader and IWGP U.S. Champion Juice Robinson said he is excited about conversing with fans and no topic will be off limits. “Fans can expect an open forum where anything goes,” Robinson said. “No punches need to be pulled, so please ask away. You guys bring the Q’s and we’ll do our best to provide the A’s. PCO, representing Villain Enterprises, is a man (or monster) of few words, but he said he also is looking forward to fielding questions from fans. The magnitude of G1 Supercard weekend -- the festival on April 5 and the historic G1 Supercard show co-promoted by ROH and New Japan Pro-Wrestling on April 6 at sold-out Madison Square Garden -- is not lost on Robinson, who has wrestled on the past three Wrestle Kingdom shows for NJPW before crowds of nearly 40,000. “I’d be willing to say this is the biggest wrestling weekend for all of us ever,” he said. “The companies, the wrestlers, and fans alike all understand that it don’t get no bigger than Madison Square Garden, baby! See the full Festival schedule.